The present collection of articles represents research efforts in the field of specialised languages, including the analysis of research articles in disciplines as diverse as Biomedicine and Computing, on the one hand, and overlapping disciplines such as in Social Sciences, on the other, all with high relevance to English for Academic Purposes, and English for specific Purposes. The volume offers empirical evidence obtained from corpus-based analyses of language, both from diachronic as well as synchronic perspectives, on topics such as the role of mother tongue in professional writing, the analysis of conference abstracts as a genre, or the analysis of visual data transfer. 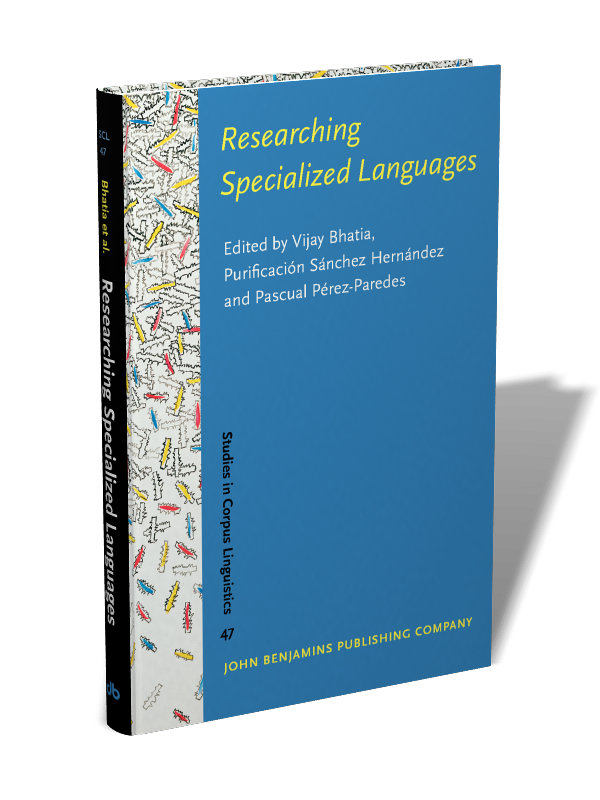 This collection addresses issues such as the implementation of lexicons for specialised language learning, and the development of ontologies to research language patterns. The volume thus provides a rich repertoire of research methodologies, in-depth analyses of specialised discourses, and the identification and discussion of relevant pedagogic issues.